Got a hole in your brand new boots? Want to keep your favorite hunting boots one more year? You can now repair both with SG-20! SG-20 is a state of the art, permanent, flexible , and FAST outdoor adhesive repair material. With SG-20 you can fix leather, leather to rubber sole and neoprene boots in minutes. With a 30 second set time and a “wear in one hour” final set you’ll be back in the field, water or paddock in no time. SG-20 is conveniently packaged in a syringe so it’s easy to apply. Simply clean and dry your boots and apply, what could be easier? Click here for "Step-by-Step" instructions. When the ducks are flying or the fish are biting, nothing ruins a day faster than a hole in your waders. Until now, your day was over as you had to get out of the water, dry your waders and repair with a product that takes 24 hours to fully cure. With SG-20 not only can you get back in the water in one hour but you can affect repairs in the field, in wet waders! You won’t be missing any of the action on those “hot action” days. To repair, simply wring out as much water as you can and apply SG-20 to and around the hole. Wait one hour and get back to the action. If you get a hole in your boot area that bends and flexes, apply a final repair when you get home. Breathable waders, raingear, etc. have always been a tough repair, until now. With SG-20 you can save that expensive gear and use it for years to come. SG-20 is a state of the art, fast and flexible repair material that will repair breathable materials. 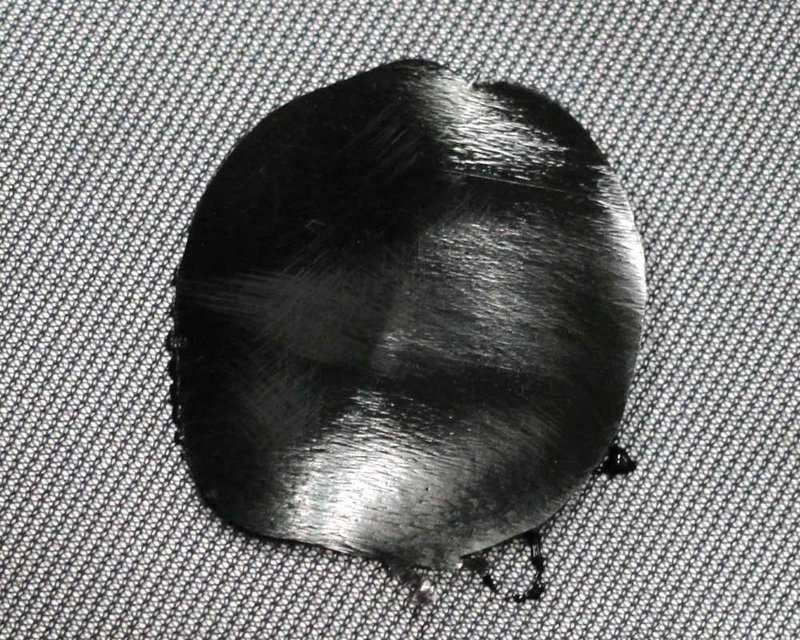 Simply find the hole, turn your gear inside out and repair from the inside using the included contouring plastic sheet to smooth the material. When set the plastic sheet will simply peel off. 95% of the users reported that SG-20 was able to save them money by repairing clothing items and boots, rather than buying new ones. SG-20 received an overall approval score of 8 out of 10 when criteria such as performance, quality, ease of use, effectiveness, convenience and durability were considered. 97% of the testers said they would recommend SG-20. SG-20 is made of a propriety blend of two-part polyurethane adhesive material that adheres to neoprene, polyurethane, and canvas making it ideal for repairing many different styles of waders, Muck Boots™, frog toggs®, foul weather and hunting gear. Damaged gear can be fixed quickly in the field simply by wiping away surface dirt and water from the damaged material and applying SG-20. 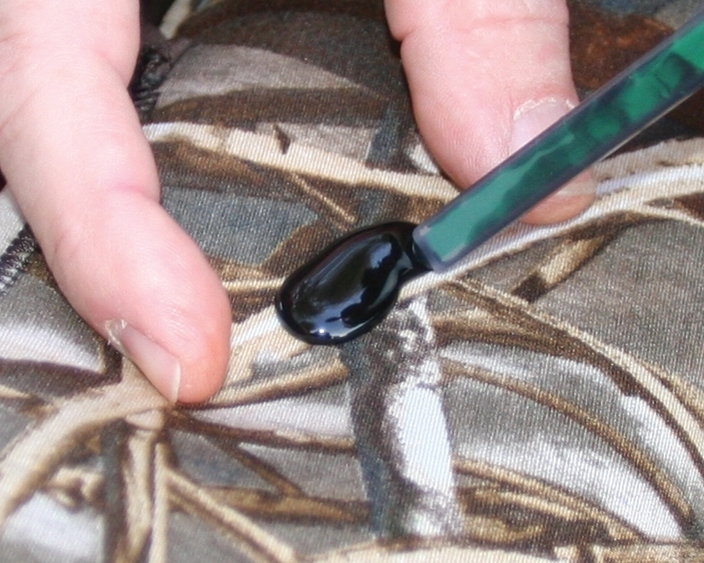 When mending the lightweight breathable waders worn by wading fishermen, the SG-20 adhesive is applied to the inside of the waders (the underside of GORE-TEX) rather than the outside.